Here's the Carzone.ie guide to buying a used Toyota CH-R. 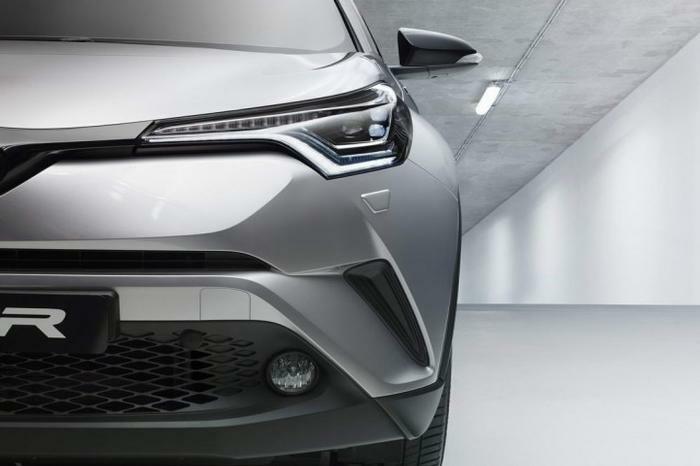 When revealed in 2016, the Toyota C-HR was a really very radical departure for the Japanese company, for the first time giving a car that competes in the mainstream family arena (mid-sized crossovers) incredibly distinctive looks and a chassis that really entertains its driver. Not to mention the beautifully styled and put-together cabin. Sure, it sacrifices practicality in the name of style, but it still makes for a more interesting crossover than most on the market. It has been on sale in Ireland since 2017. While Toyota’s decision not to develop a diesel version of the C-HR looked radical in 2016, it doesn’t seem so drastic now, even if there are buyers that would love the option of a diesel C-HR. Instead, it’s either a turbocharged 1.2-litre petrol engine with a manual gearbox or a 1.8-litre petrol-electric hybrid automatic powertrain shared with the Prius. The former is better to drive, while the latter is more efficient, if also more expensive to buy. All C-HRs are five-door cars with drive to the front wheels. Trim levels start with Luna (just for the 1.2), rise to Sport (just for the hybrid), then buyers can choose either powertrain in Luna Sport or Sol specifications. If you’re based in a large town or city, then the hybrid is worth seriously considering, as it runs in electric-only mode regularly, which is lovely and relaxing, and obviously saves fuel, too. Otherwise, go for the petrol version, as it’s much sweeter to drive, it’s cheaper to buy and really quite economical. Aim as high up the range as you can for the trim level. There’s no doubt that the C-HR’s arresting looks will put some buyers off, but we suspect that, equally, they could attract buyers that would previously have thought Toyota too conservative for their preferences. Underneath, however, is a really good car with modern technology, a choice of two good powertrains and top-notch quality.